This week has been of great interest for me being one of the participants to QCD@Work 2012. I have had my contribution accepted by the organizers and so I gave a talk. 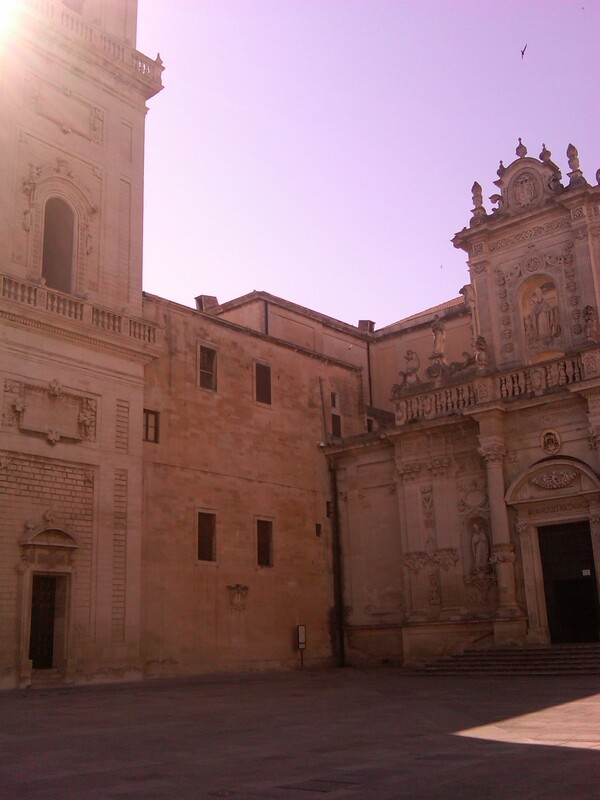 The conference was held in a really beautiful city, Lecce here in Italy. 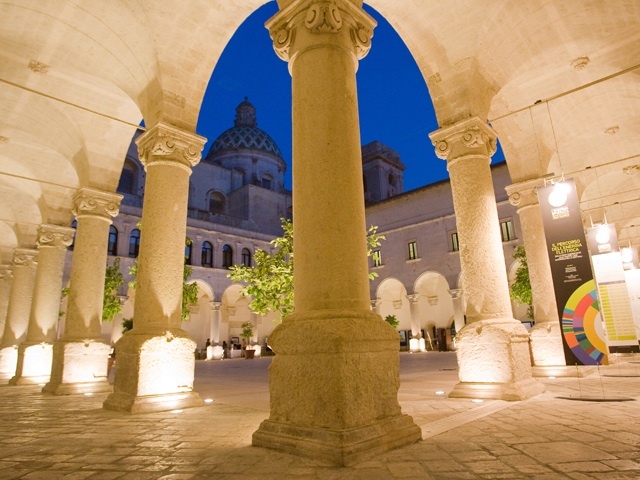 This conference is organized jointly by University of Bari and University of Salento in Lecce. The first day, Monday, at the very beginning, there were both ATLAS and CMS delivering their official results. Of course, gossip arrived also at the conference and people were very aware of it. But both CERN groups presented known results leaving some more room for future developments to be heard very soon. The talks in their pdf format are given here. At this conference I have had the good chance to meet Francesco Sannino. We have had interesting discussions sharing some time outside conference time. His talk was really interesting opening up some new venues to the understanding of what could be going on beyond the Standard Model. I would like to remember the proposal by Francesco and Ryttov on the exact beta function for Yang-Mills theory that appears really insightful (see here and refs therein). The afternoon parallel session concerned more strictly what I am currently doing in QCD. A striking talk was given by Kei-Ichi Kondo. Kondo is currently involved in research about infrared behavior of Yang-Mills theory and his conclusions are very similar to mine: There is an Abelian dominance in the low-energy limit. He was able to get Nambu-Jona-Lasinio model as low-energy limit of QCD much in the same way I did. In his talk he get the interquark potential starting from the idea that confinement arises from non-abelian monopoles in the theory. He also verified his approach through lattice computations. In the successive parallel session I heard the talk from Mirko Serino about a really innovative idea. Mirko is a PhD studend at University of Salento and together with Claudio Coriano, that is his professor, Luigi Delle Rose and Antonio Quintavalle are producing an analytical computation of Standard Model in presence of gravity. This kind of computation is highly non-trivial and quite complicated. The striking result they get is that appears a coupling between a scalar degree of freedom and the gauge field and this appears as a rather interesting new proposal for mass generation. I have talked with the students of Coriano and they were really excited by this result that is indeed really interesting and unexpected. The session ended with my talk. The next day, Tuesday, it was the day for excursion and social dinner. The program was limited to two sessions in the morning. There were a couple of interesting talks, I mean with respect to my fields of interest, by Huang Mei and Antonio Vairo. The talk by Huang Mei managed to get consistent results about confinement in AdS/QCD. She shows that a way to reconcile confinement and holography is obtained with the introduction of the condensate of the vector potential. This has been the starting point of a lot of discussions, also fired by an interesting comment by Antonio Vairo. Vairo’s comment is about the fact that an operator product expansion (OPE) does not produce this condensate at large momenta. By itself, this condensate is clearly not gauge invariant. We also know that a gluon mass is obtained through this condensate in some scenarios as refined Gribov-Zwanzinger theory that I was able to show is fairly consistent (see here). Of course, I would like to see OPE at small momenta, where the real thing happens, to conclude that Vairo’s comment applies as well. Vairo presented a talk on a non-trivial effect in QCD: Jet quenching. The idea is very similar to the one of a particle going through ordinary matter but in this case the matter is a quark-gluon plasma that has the effect to dump energetically the jet. In the afternoon we headed to Otranto, on the sea, for a guided visit and finally took the social dinner in a very pleasant place. On Wednesday there was a number of talks very near my interests. The first one was delivered by Luigi Capozza on behalf of COMPASS collaboration. I always find the results of this group really striking. Their aim is to take a measurement of the components of the proton spin. These are usually divided in three parts: Quark contribution, gluon contribution and orbital contribution. The striking part of the measurement is that the gluon contribution is compatible with zero! From what we know in the high-energy limit, where the gluon concept is well-defined, these are spin-1 objects and so, it is not so straightforward to have zero contribution from them to the proton spin and indeed this is an important open problem in theoretical physics. The following talk was delivered by Mark Alford. With Mark we spent a lot of time going around Lecce and taking meats looking for very good restaurants. I was very impressed both by his humor, sometime really sharp, and by his thorough knowledge of a lot of arguments and physics was surely not the last of them. The talk he delivered left me somewhat impressed and the reason is that he and some other few people is managing a really pioneering question: What is going on to nuclear matter inside collapsed stars? 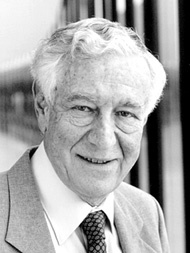 He modeled the matter inside a neutron star as a liquid. This liquid has essentially two components and one of this is a superfluid. Sometime, the fluid motion happens in such a way to produce a quadrupole configuration emitting gravitational waves and so the star loses energy. This mechanism is characterized by large amplitude waves. Mark said to me that they are in difficulty due to the strongly coupled situation of such a plasma that has the properties of a superfluid. He called them speculations but much of us know that also special relativity in 1905 was just speculation and there was no hope to see an experimental test in a short time. Next talk was delivered by Maxim Chernodub. Maxim was one of the companions, together with Mark, spending around time in Lecce. We have had several discussions on a lot of arguments. His talk was about his very important work on superconductor properties of the vacuum of QCD. He proved that mesons undergo condensation. This effect appears when a strong magnetic field is applied and this is a typical situation in collisions at RHIC or LHC with heavy ions even if this effect could be very well-hidden. On the other side, surely on lattice computations this could be seen quite straightforwardly. I have asked to Maxim if current approximations in lattice computations can give off the mark results but he said that the choice of quark masses, even if nonphysical, are not a concern as it should also be for the choice of the lattice spacing. From a theoretical standpoint, he was able to show this effect with some smart computations recently appeared (see here). The final talk of this session was delivered by Marco Ruggieri. Marco is one of my best friends and he gave me a lot of really helpful comments as you can see from the acknowledgment in my talk. The argument was Yang-Mills thermodynamics well above the critical temperature that is 270 MeV. This work, done at University of Catania, is providing really important results. It should be stated that we are again in a strongly coupled regime. But, if you remember condensed matter questions, generally the effect of strongly coupled degrees of freedom goes to dressing particles, called quasi-particles, leaving you with a manageable description of the physical picture. What Marco and the group he works with have proven is that it appears that a quasi-particle description does work in this limit of very high-temperature. The order parameter they identify for the phases is the Polyakov loop and they provide support to the existence of a condensate of Z(3) lines. Z(3) symmetry arises from the fact that only non-colored objects can propagate in Yang-Mills theory and so, only objects with this symmetry are physical degrees of freedom (see here). These results provide an innovative view of what is found on lattice computations and are really challenging for theoreticians. In the afternoon there has been another session with some other interesting talks. The first of this was delivered by Hiroaki Abuki. 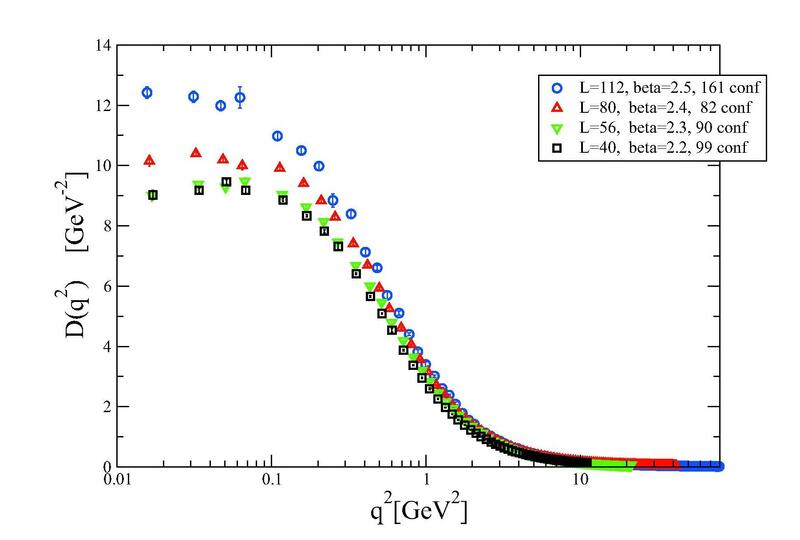 Abuki’s approach follows an interesting research path to study QCD near the critical point. The idea is to do a Ginzburg-Landau ansatz expanding the Gibbs free energy in terms of chiral fields till fourth power. I think it would be interesting to see a complete justification of this approach starting from QCD as also happens for a superconductor and BCS theory. Hiroaki and his students were very nice companions during launches and dinners at Lecce. Following talk was delivered by Andreas Schmitt. Andreas is doing an important theoretical work in trying to justify phenomenological behavior of nuclear matter in extreme physical conditions starting from models of QCD. This work is essential to give an in-depth comprehension of the work of Mark Alford and collaborators. This is a very challenging activity working with a strongly coupled theory. The starting point for Andreas is Nambu-Jona-Lasinio model and I should say that this is very sound. He is able to show that chiral symmetry is recovered under large magnetic fields. Finally, I have listened the talk of Motoi Tachibana. Spending time with Motoi in Lecce was really enjoying. His talk was about a collaboration with Marco Ruggieri and people at INFN Gran Sasso. 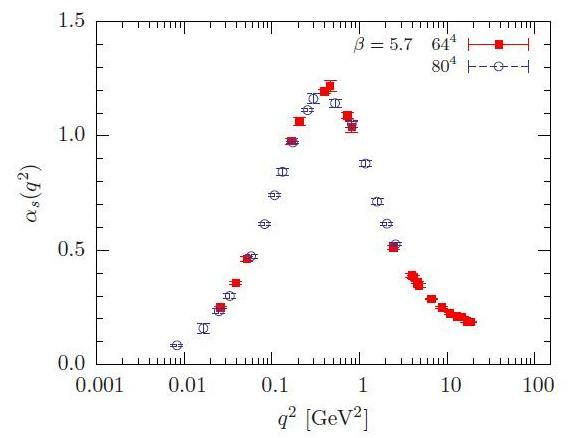 This work is aimed to a deeper understanding of the ultradense nuclear matter on the same line of the preceding ones. This new path of research I was not aware of entails the same difficulties of other standard approaches to QCD: One has to cope with a strongly coupled theory. Of course, recurring to Nambu-Jona-Lasinio model is the right way but all the parameters should be properly fixed using QCD and here lies the main question. As my readers probably know, I have approached this problem in one of my most recent papers (see here) and I have presented part of it to this conference. It would be interesting to extend possible applications of it further in such very extreme conditions. I have to say that this proved to be a very interesting conference, well-organized and I have had the chance to say this personally to Pietro Colangelo, one of the organizers. Knowing how Italian universities are managed by our political class should make clearer yet how great the job has been done by the organizers to get all this machine properly work. 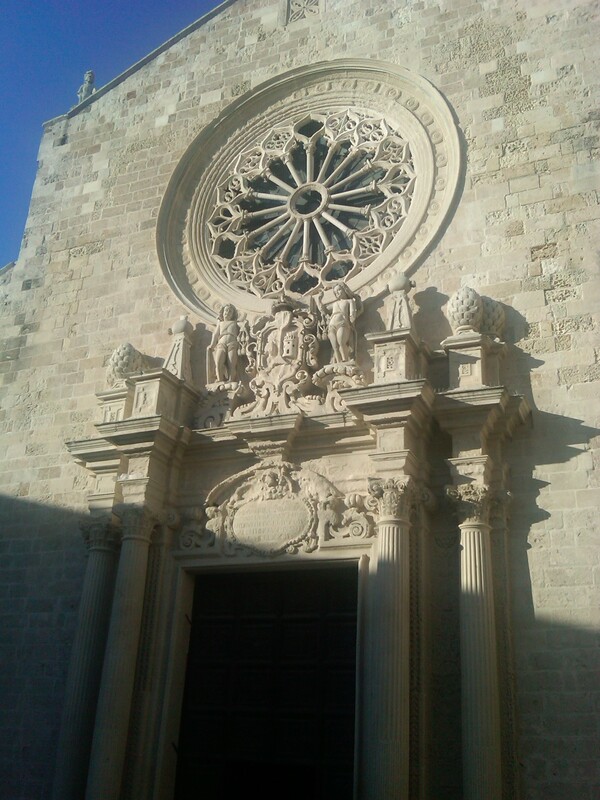 Finally, Lecce is a very beautiful city and is worthwhile a staying there. It is another part of this conference that I enjoyed a lot. CERN does not confirm rumors that were spreading about Higgs particle in the blogosphere recently (see here). We have not to wait too long anyway as ICHEP is just a few days ahead. Update: CERN confirms that curtain will be raised at ICHEP on 4th July (see here for the official news). My inactivity period was due to a lack of real news around the World. But I was not inactive at all. My friend Alfonso Farina presented to me another question that occupied my mind for the last weeks: What is the energy cost for computation? The first name that comes to mind in such a case is Rolf Landauer that, on 1961, wrote a fundamental paper on this question. The main conclusion drawn by Landauer was that at each operation on a bit there is an entropy cost of being the Boltzmann constant. This means that, it you are operating at a temperature there will be heat emission for and this is the Landauer limit. This idea stems from the fact that information is not some abstract entity living in hyperuranium but just to stay in the real world it needs a physical support. And wherever there is a physical support thermodynamics and its second principle is there at work. Otherwise, we can use information to evade the second principle and build our preferred perpetual motion. As Charles Bennett proved, Maxwell demon cannot work due to Landauer limit (for a review see here). Recently, a group of researchers was able to show, by a smart experimental setup, that Landauer’s principle is indeed true (see here). This makes mandatory to show theoretically that Landauer’s principle is indeed a theorem and not just a conjecture. To accomplish this task, we would need a conceptual tool that can map computation theory to physics. This tool exists since a long time and was devised by Alan Turing: The Turing machine. A Turing machine is a thought computational device aimed to show that there exist mathematical functions that cannot have a finite time computation, a question asked by Hilbert on 1928 (see here). A Turing machine can compute whatever a real machine can (this is the content of the Church-Turing thesis). 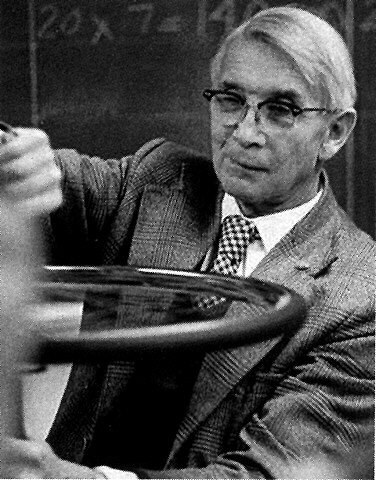 There exist some different kinds of Turing machines but all are able to perform the same computations. The main difference relies on the complexity of the computation itself rather than its realization. This conceptual tool is now an everyday tool in computation theory to perform demonstrations of fundamental results. So, if we are able to remap a Turing machine on a physical system and determine its entropy we can move the Landauer’s principle from a conjecture to a theorem status. In my paper that appeared today on arXiv (see here) I was able to show that such a map exists. But how can we visualize it? So, consider a Turing machine with two symbols and a probabilistic rule to move it. The probabilistic rule is just coded on another tape that can be consulted to take the next move. This represents a two-symbol probabilistic Turing machine. In physics we have such a system and is very well-known: The Ising model. 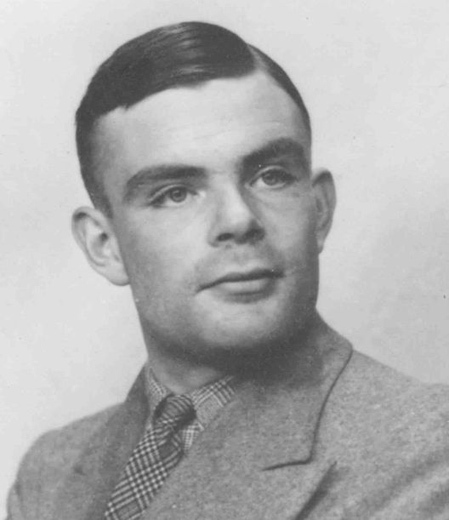 As stated above, a probabilistic Turing machine can perform any kind of computations a deterministic Turing machine can. What is changing is the complexity of the computation itself (see here). Indeed, a sequence of symbols of the tape in the Turing machine is exactly a configuration of a one-dimensional Ising model. This model has no critical temperature and any configuration is a plausible outcome of a computation of a Turing machine or its input. What we need is a proper time evolution that sets in the equilibrium state, representing the end of computation. Time evolution of the one-dimensional Ising model has been formulated by Roy Glauber on 1963. Glauber model has a master equation that converge to an equilibrium as time evolves with a Boltzmann distribution. The entropy of the model at the end of its evolution is well-known and has the limit value for the entropy as it should when a single particle is considered but this is just a lower limit. So, we can conclude that the operations of our Turing machine will involve a quantity of emitted heat in agreement with Landauer’s principle and this is now a theorem. What is interesting to note is that the emitted heat at room temperature for a petabit of data is just about a millionth of Joule, a very small amount. This makes managing information convenient yet and cybercrime still easy to perform. You are currently browsing the The Gauge Connection blog archives for June, 2012.